Postage Terms: By Using This Site, Purchasing Any Products & Services From Carreco PTY LTD you agree & abide the terms & conditions of sale. D.I.Y Car touch up paint bottle scratch repair kits, car paint pens and other touch up paint products; generally it will take between 5 and 14 days to produce the factory O.E.M custom packed kits and/or other such products; Note; general turnaround estimation period is 1 – 7 days from notices. worse case scenario; orders will further possibly take in between 1 and 14 working days in postal transit to get to you; if an item becomes back order it may take 1 to 7 days to process the order on top of the already required 14 days packaging & shipping terms. When making a purchase you may mark your order as urgent in the comments area of your order form for our technicians to process if not inundated with orders. Note; general turnaround estimation period is 1 – 7 days form notices. Cost of postage on items vary from kit to kit or item to item. The normal costs to post our kits are usually in between $10.00 and $14.00 to ship Australia wide including Tasmania. Tip of the day: We only post spray cans or bulky paint products at this time if your organize couriers at your cost. We pack these items ready for shipping only or in store collection (Costs Apply). Find Out More Fastway Couriers about shipping costs. We recommend you insure your touch up paint products as we cannot promise safe delivery as just standard shipping procedures are used and are beyond our control. Our trading statistics show that 1 in 20 items are damaged/lost or incorrect shipping details are supplied as a result of transit & human error. Car Touch up paint kits insurance information. Do I need to insure my kit? All items are sent by post and are not track able unless you state you wish for express post which will incur additional costs (conditions apply); it is recommended you insure your touch up repair kit. When a purchase is made and a insurance policy is purchased the policy is limited to 1 of each damaged items as originally purchased (gift accessories excluded) in the kit. When a claim is made evidence of the broken or damaged goods need to be presented to place of purchase. In the case where you do not receive your parcel after our dispatch notification services notice (See Postage) because of a third party transit authority and/or you wish to cancel or for any other reason incurs costs and service fees of 25% of the original purchase product/s order plus the cost of the custom made colour ($28.60 AU), with the new uninsured liability insurance cost (start $6.00 AU Up) and postage (Start $10.00 AU Up). If the said scenario comes to fruition. If you have taken out an insurance policy and your kit has not arrived or arrived damaged you must within 7 days from time of shipping from our warehouse you should lodge any such insurance claim within this time frame. The insurance policy will only survive for the 7 days from the described postage terms. You will receive replacements for damaged items (bottles) only, we supply a cleaning agent, work cloth and a replacement tool caddie and accessories kit to assist in the clean up and restoration of your newly purchased and then damaged items. For those who decide to purchase a paint repair kit without insuring the item do so at their own risk and understand that they will not receive a replacements without purchasing an insurance policy for that kit. In the case where you receive a paint pen in a paint kit and that for one reason or another the color is not the correct colour; you will be required to send a image picture to (+61 0416168746); This item is not covered by our transit posted and damaged insurance policy. We carry a paint repair kit uninsured insurance policy. If a person or entity makes a purchase without insuring items obtained and the item is lost or damaged in transit, you may purchase a uninsured paint repair kit insurance policy at a cost of $6.00 per touch up paint product item in the kit from the original purchase order if any. Postage & insurance is added to the uninsured claim item when a uninsured insurance policy is applied. (accessories in the kit are excluded from cost and are free in this policy). Non refundable; you may only refund if you cancel the order within one hour of making the order (See Refunds Below); We use and recommend original colour repair equipment manufacturers for the simple reason they are organisations that make the paint products for the car makers; the colors we supply are exact match to your cars original paint; There are reasons for paint works not matching; Here are few examples; the vehicle panel may have been already painted previously using non O.E.M paint products; your vehicle may have faded paint; it is possible Your vehicle may have a variation in color listed formulas depending on the manufacturers demographics; this does not and will not affect the finished visual color as a result when brush touch or Penfastic products are used; metallic paints and tricolour colors have to be blended by manufacturers specification to get the 100% color match guarantee when sprayed; Individual car makers may have different parts of the vehicles made and painted in different demographics as to why bumper bars may appear a different color on some vehicles. Note: The original color formula being the car body color. By using touch up paints products you agree before making a purchase of any of its products that you understand that brush touch and penfastic paint kits are a camouflage product only. The product kits are limited to removal of light paint scratching, blemishes and camouflaging of the deeper scratches and paint chips. If you wish to completely remove heavy paint scratching from your vehicles completely so that an invisible repair is undertaken, we advise you see a paint/panel repair shop. 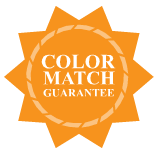 Tri coat colors are special colors that require three bottles of paint to be able to get the correct exact color match. If you purchase a paint kit and the color is tri-coat then you will need to purchase the second color & the clear. We will under conditions refund the initial order for a incorrect kit selection unless approved within the 1 hour cancellation buffer allowance. The order will only be cancelled if contact is made to text (+61 0416168746) within the one hour buffer that allows changes to orders before they are packed. Always check you have the correct paint scratch product before ordering by using the contact information above. Refunds For Touch-up Paint Kits Are Extremely Limited. All paint repair kits & products are custom built & made fresh upon an order submitted; orders may only be cancelled if done within one hour of placing the order; as per our sale terms & conditions there will be a 25% total reversal commission fee from any original orders; this policy excluding applied insurance and postage; administration surcharge applies for all reversals of any type of transaction being cancelled. excluding orders in the 1 hour cancellation buffer period.